David Benison joins the Ellon-headquartered firm following a brief stint as head of operations with Aberdeen City Health and Social Care Partnership. He spent more than 28 years as subsea operations lead at Aker Solutions before moving to Aberdeen’s head of subsea in 2017. 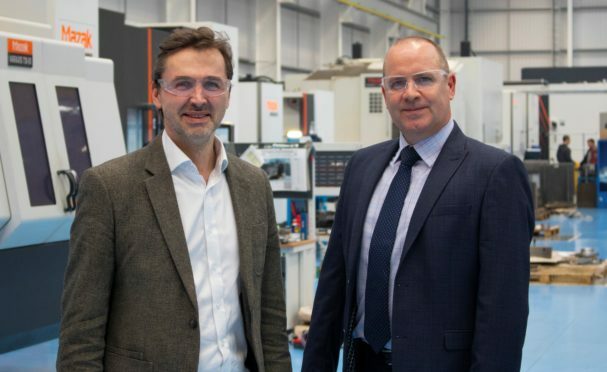 Mr Benison, who joined Aker Solutions in 1990, said he was “looking forward” to strengthening relationships the firm’s customer base while identifying “new opportunities for growth”. SengS, which was acquired by Pryme Group in 2016, saw its founder Murray Kerr succeeded as MD by then operations manager Peter Thomson. Mr Kerr became group strategic commercial director at Dundee-based Pryme Group. But a move for Mr Thomson in 2017 to MD of Pryme Group then saw Mr Kerr step in as interim managing director until yesterday’s appointment. Global manufacturing firm Pryme is majority-owned by Simmons Energy’s private equity fund. SengS provides engineering services to clients in the UK North Sea, Norway, Azerbaijan, the Middle East and west Africa.